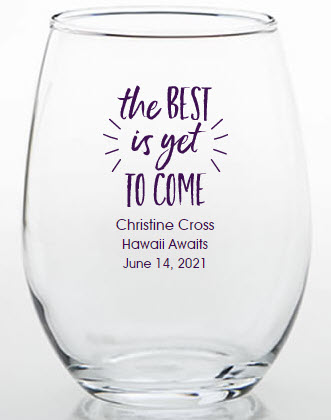 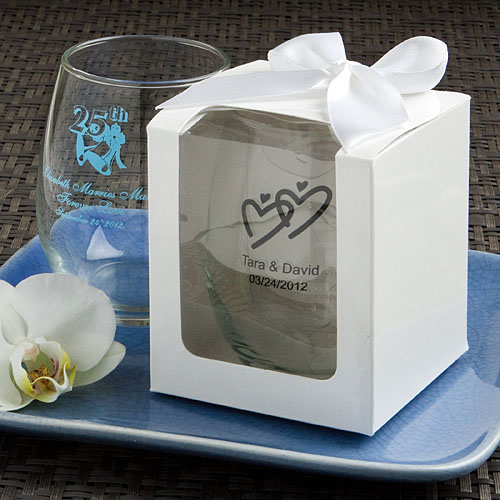 Your guests will love these trinket glass retirement party favors. 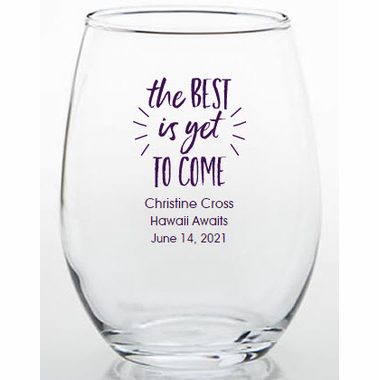 They are actually custom stemless wine glasses, but are most often used as to hold small items from jewelry to cuff links or even small office supplies. 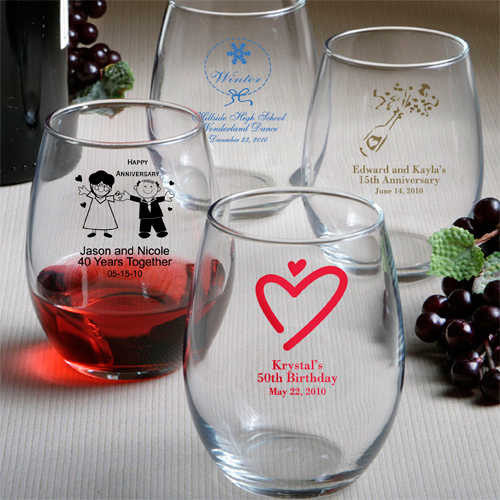 They can also be filled with candy as table decorations.